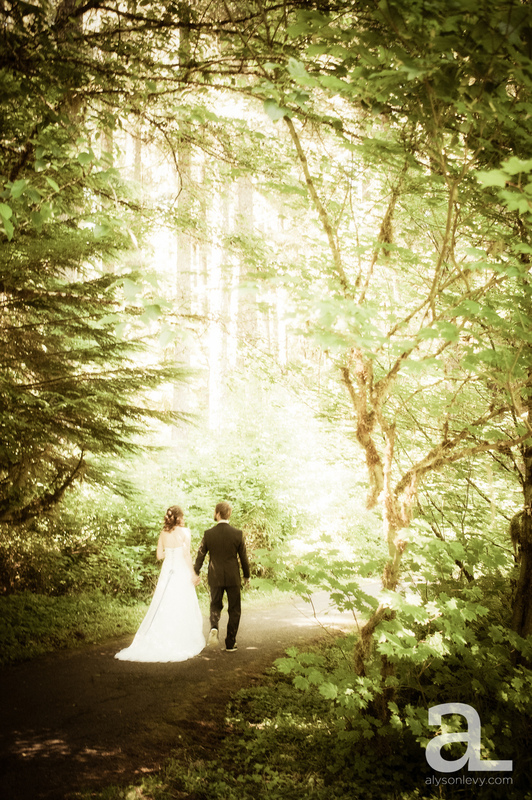 Lisa and Marc had a lovely, mellow, pot-luck style wedding at the absolutely gorgeous Silver Falls State Park. My favorite part of the day was the thirty minutes they set aside for us to walk around and take photos with just the two of them. There was plenty of warm, beautiful, dappled sunshine – basically a photographer’s playground. Specially- made homebrews and huge amounts of delicious food followed (and let me be honest, I enjoyed that part too!) – then instead of a first dance, the happy couple had a ceremonial first badminton game. What could be cuter?